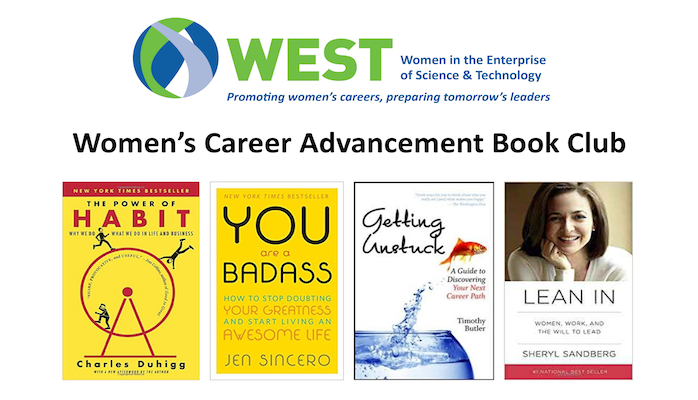 WEST is offering a book club for WEST members focusing on women's career advancement. We will have a meeting with a new book every other month. We would like participants to commit to four sessions to create a supportive community. We will have a facilitator for each discussion group who will have read the book, so those who do not finish the whole book should still feel comfortable attending and joining in the conversation. We understand people get busy at certain times of the year and may not get to finish every book.